One Family is delighted to welcome two authors, Sandra Garrish and Karl O’Neill, to Cherish House for a storytelling event on Thursday and we invite you to join us. 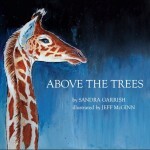 Canadian writer Sandra will read ‘Above The Trees’, a story she wrote for her young daughter. It aims to open a dialogue to explain the absence of a parent as Kaylee the giraffe learns about her family and many other families. Irish author/actor Karl wrote ‘The Most Beautiful Letter In The World’ for his niece to nurture a love of reading. It tells the story of Poppy who finds a mysterious red envelope in the park. Both books are beautifully illustrated and will delight children with the variety of characters voiced while immersing them in journeys both fun and educational. This is a free event for children and their parents/guardians, and light refreshments will be served. It takes place on Thursday, March 14th @ 2.45pm for 1 hour at our offices: Cherish House, 2 Lower Pembroke Street, Dublin 2. No tickets required but as places are limited please RSVP to 01 662 9212 or to info@onefamily.ie. We look forward to seeing you. For further details on ‘Above The Trees’, click here. 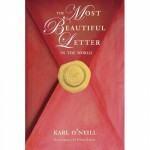 For further details on ‘The Most Beautiful Letter In The World’, click here. v Art Workshops for children can be found every Saturday at the National Gallery of Ireland from 15:00 onwards, and they’re free to go to. Merrion Square West, Dublin 2.
v On Thursday the 27 of September there will be a free children’s workshop for all ages in the National Library of Ireland, 2 Kildare Street, Dublin 2.
v Niamh Sharkey the world renowned children’s book illustrator is hosting a Monster Doodle Workshop to launch the Children’s Book Festival on October 1st. Visit your local library or email info@childrenslaureate.ie for more information on how to take part. v Trio Time is an opportunity for young children and their grown-ups to make music together and to learn about different instruments in a relaxed, fun workshop. Learn & Explore musicians will tell participants about their instruments and demonstrate their special sounds. Participants will be invited to join in the music-playing through singing, moving and playing simple hand percussion. These workshops can be found in the National Concert Hall · Earlsfort Terrace, Dublin 2, Dublin and the price is €7.50 for an adult and €6.00 for a child. These classes run until the 29th of September 2012.
v The Botanical Gardens have organised a “decorate your own pumpkin” competition, with a prize for the most imaginative entry. The competition runs from the 21st of October until the 5th of November. Only the skin is to be decorated and there can be no carving of the pumpkin in case it turns bad. v From the 28th of September until the 14th of October The Ark and Dublin Theatre Festival will be showing fantastic performances geared towards children aged 2-12 years. Below you can find a list of performance dates and a description of each performance. Tickets cost €10.00. A clowning performance that has had children and adults alike rolling in the aisles since its creation 10 years ago. An interactive storytelling show and how and why we make things up. A gentle and light-hearted new show for young children featuring fruit, vegetables and original music. v On October 31st master storyteller Niall de Burca will be telling spooky tales for all the family at The Ark, Temple Bar. Tickets are at a first come, first served basis. Want a free make-over, or even a ‘make-under’? Parenting alone is tough on your wallet and leaves little money for luxuries which is where RTE’s ‘Off the Rails’ TV series can help you – they are looking for participants for their new series and will give you a free style revamp. Contact offtherails@rte.ie if you are interested. https://onefamily.ie/wp-content/uploads/2017/09/One_Family_Logo_340x156px_web-1-224x103.jpg 0 0 Comms https://onefamily.ie/wp-content/uploads/2017/09/One_Family_Logo_340x156px_web-1-224x103.jpg Comms2011-04-19 16:32:302011-04-19 16:32:30Do you want a Free Make Over?? McCann from Antrim and Zach Brady from Dublin and other One Family clients at their Christmas Party in Dublin Castle.